Yesterday the World Health Organization convened the 10th meeting of the IHR Emergency Committee on MERS to discuss the most recent developments, and to determine whether the virus constitutes a PHEIC (Public Health Emergency Of International Concern). The Committee further noted that its advice has not been completely followed. Asymptomatic cases that have tested positive for the virus are not always being reported as required. Timely sharing of detailed information of public health importance, including from research studies conducted in the affected countries, and virological surveillance, remains limited and has fallen short of expectations. Inadequate progress has been made, for example, in understanding how the virus is transmitted from animals to people, and between people, in a variety of settings. The Committee was disappointed at the lack of information from the animal sector. Shortcomings we’ve looked at often in the past, including WHO EMRO: Scientific Meeting Reviews MERS Progress & Knowledge Gaps, and that have frequently been addressed by Crof , Ian Mackay’s VDU Blog , and FluTrackers. The tenth meeting of the Emergency Committee (EC) convened by the Director-General under the International Health Regulations (2005) (IHR 2005) regarding the Middle East respiratory syndrome was held by teleconference on 2 September 2015, from 1300 to 1620 Central European Summer Time (UTC +2). During the meeting the WHO Secretariat provided an update to the Committee on epidemiological and scientific developments, including recent cases and transmission patterns in the Kingdom of Saudi Arabia (KSA), Jordan and the United Arab Emirates. The Secretariat also provided current risk assessments with regard to these events, and information on control and prevention measures. The following States Parties provided information on the status of events and assessments of the MERS-CoV situation in their countries: Jordan, KSA, Republic of Korea, Philippines, Thailand and the United Arab Emirates. The Secretariat reported on a recent WHO mission to KSA that was conducted on 23 August 2015 because of a hospital-based outbreak of MERS cases. One of the preliminary conclusions was that virus transmission in the emergency room of the most heavily affected hospital resulted in a significant nosocomial outbreak. Despite an established triage system, virus transmission was able to occur because of overcrowded conditions, movement of patients who were infected but did not yet have a diagnosis, and some breakdowns in the application of infection prevention and control (IPC) measures. These key factors facilitated the outbreak. Members of the EC agreed that the situation still does not constitute a Public Health Emergency of International Concern (PHEIC). At the same time, they emphasized that they have a heightened sense of concern about the overall MERS situation. Although it has been three years since the emergence of MERS in humans was recognized, the global community remains within the grip of this emerging infectious disease. There is continued virus transmission from camels to humans in some countries and continued instances of human-to-human transmission in health care settings. Nosocomial outbreaks have most often been associated with exposure to persons with unrecognized MERS infection. The major factors contributing to the ongoing situation are insufficient awareness about the urgent dangers posed by this virus, insufficient engagement by all relevant sectors, and insufficient implementation of scalable infection control measures, especially in health care settings such as emergency departments. The Committee recognizes that tremendous efforts have been made and some progress has been achieved in these areas. However, the Committee also notes that the progress is not yet sufficient to control this threat and until this is achieved, individual countries and the global community will remain at significant risk for further outbreaks. Moreover, the current outbreak is occurring close to the start of the Hajj and many pilgrims will return to countries with weak surveillance and health systems. 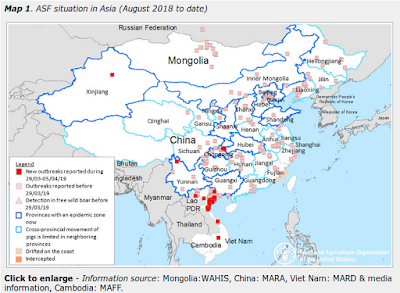 The recent outbreak in the Republic of Korea demonstrated that when the MERS virus appears in a new setting, there is great potential for widespread transmission and severe disruption to the health system and to society. The Committee further noted that its advice has not been completely followed. Asymptomatic cases that have tested positive for the virus are not always being reported as required. Timely sharing of detailed information of public health importance, including from research studies conducted in the affected countries, and virological surveillance, remains limited and has fallen short of expectations. Inadequate progress has been made, for example, in understanding how the virus is transmitted from animals to people, and between people, in a variety of settings. The Committee was disappointed at the lack of information from the animal sector. The Committee felt it important to alert all relevant authorities, especially national public health, animal and agricultural agencies, to the continued and significant public health risks posed by MERS. These sectors must collaborate, among themselves and internationally, and follow the advice that has been issued by WHO. Its previous advice remains applicable. National authorities should ensure that all health care facilities have the capacity, knowledge and training to implement and maintain good practices, especially infection prevention and control measures and early identification of cases. Appropriate authorities should collaboratively address deeper systemic issues that are impeding control of MERS, both in animals and humans. National authorities should ensure the rapid and timely sharing of information of public health importance, including epidemiological investigations, viral genetic sequence information and findings from research studies. International collaboration to develop human and animal vaccines and therapeutics should be accelerated. In view of the evidence that camels are the main source of community-acquired infections, public health, animal health and agricultural sectors must improve their collaboration to address the public health risk of MERS. National leadership is essential to ensure a flexible, efficient and well-coordinated whole-of-government response to the challenges posed by MERS. Based on the Committee’s advice and information currently available, the Director-General accepted the Committee’s assessment. She thanked the Committee for its work. There is no public health justification for implementing any measures to prevent the spread of MERS through the restriction of travel or trade. Screening at points of entry is considered unnecessary at this time. However, raising awareness about MERS and its symptoms among those travelling to and from affected areas, particularly in light of the Hajj, is strongly advised. WHO will continue to provide updates to the Committee Members and Advisors. The Emergency Committee will be reconvened should circumstances require. African Swine Fever In China: Epizootic or An EpicZootic? Avian Flu Diary by Michael Coston is licensed under a Creative Commons Attribution-Noncommercial-Share Alike 3.0 United States License. Paramedic EMT-II (Ret. ), Computer software designer, Building contractor, Cruising sailor, Humorist. . . obviously unable to hold a job. Copyright (c) 2006-2019 Michael P. Coston. Awesome Inc. theme. Theme images by A330Pilot. Powered by Blogger.